CBS has officially ordered a pilot for a new TV series based on the 2011 feature film Limitless, with the movie's star Bradley Cooper serving as an executive producer. We first reported on the project back in October 2013, with CBS issuing a pilot production commitment nearly a year later, in October 2014. Neil Burger, who directed the feature which took in $161.8 million worldwide from a $27 million budget, will also serve as an executive producer and direct the pilot episode. The pilot episode was written by Craig Sweeny (Medium, Elementary). 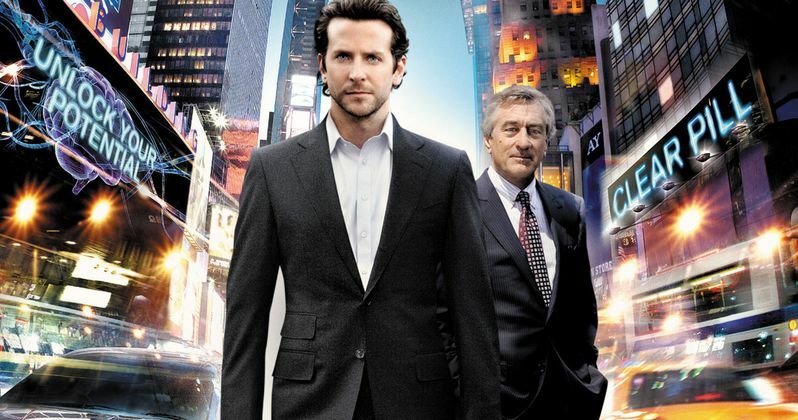 In the movie, a drug is discovered by a struggling writer (Bradley Cooper), which unlocks 100% of his brain's capabilities, as he uses his new gifts to become a financial whiz kid. The series will follow a man who discovers the drug NZT, and becomes coerced into using his amazing new abilities to solve cases every week for the FBI. Bradley Cooper, Neil Burger and Craig Sweeny are executive producing alongside K/O Paper Products' Alex Kurtzman and Roberto Orci, Todd Phillips, Heather Kadin, Ryan Kavanaugh, Tucker Tooley and Tom Forman. Limitless is the second CBS pilot ordered this week that was originally based on a feature film, following their Rush Hour pilot based on the hit movie franchise. In related news, CBS also picked up two more pilots, Angel from Hell from Tad Quill (Scrubs, Samantha Who?, Bent) and an untitled project from Dan O'Shannon (Modern Family). Angel from Hell centers on the unorthodox friendship that is formed when a woman claims to be another woman's guardian angel. The untitled Dan O'Shannon project follows a group of friends and family members at three different points in their lives.